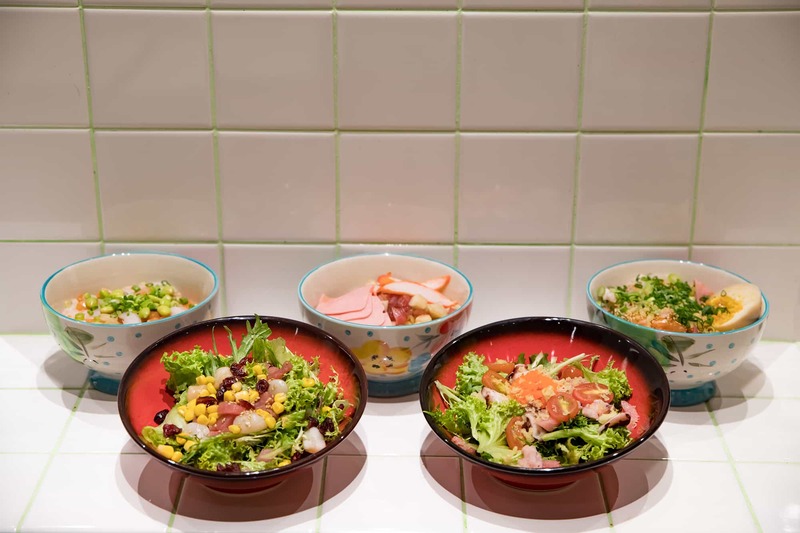 Sora Boru has just made chirashi bowls even more enjoyable with their customisable chirashi bowls where you get only all of your favourite toppings! 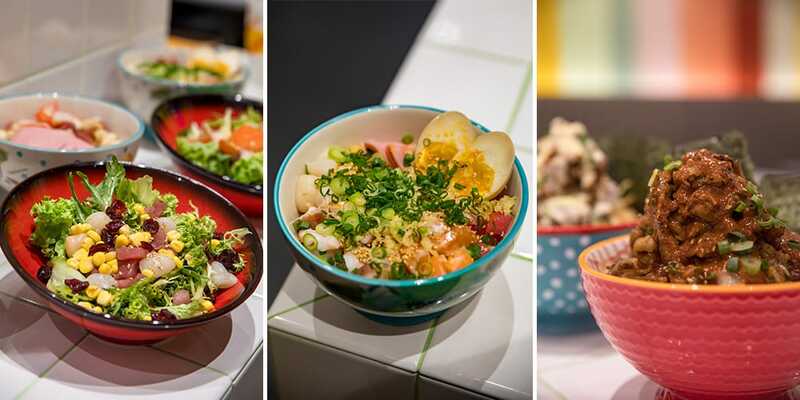 The new Japanese dining concept has just opened up in the basement of 313@Somerset, and you’ll be able to get hearty bowls of rice, salads and soba at wallet-friendly prices. From just $6.50, mix and match your favourite fish and toppings to create your perfect chirashi. 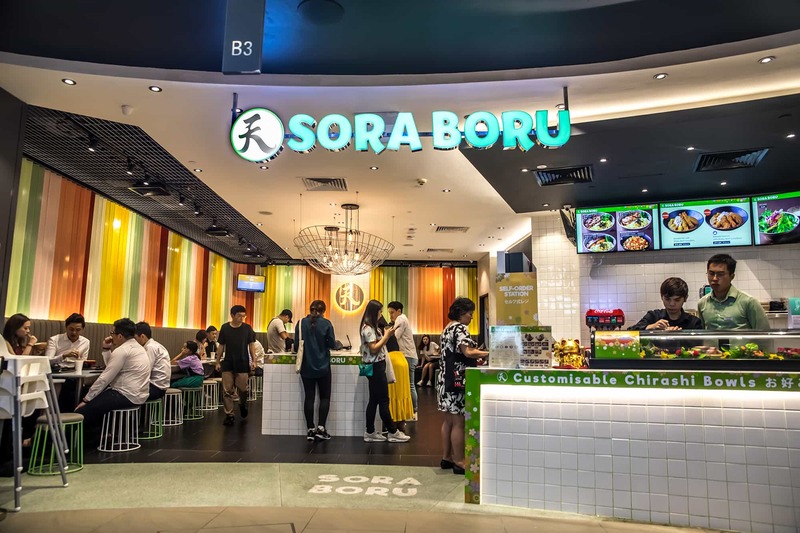 Sora Boru is a little poke at the Japanese pronunciation of the word ‘bowl’ (pronounce it bo-ru and you’ll be saying bowl with a Japanese accent! ), hence the spotlight on bowls! 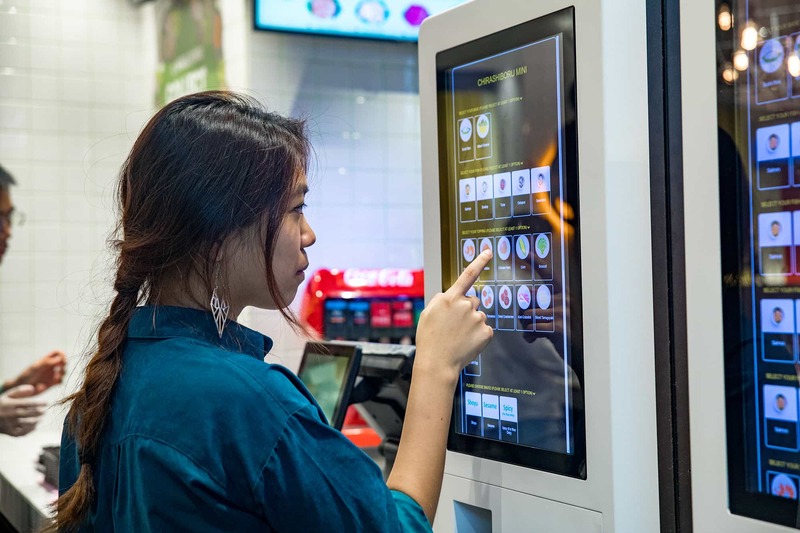 The restaurant is going for a ‘fast-dining’ concept, where you can order your meal over the counter or at the self-service kiosks. 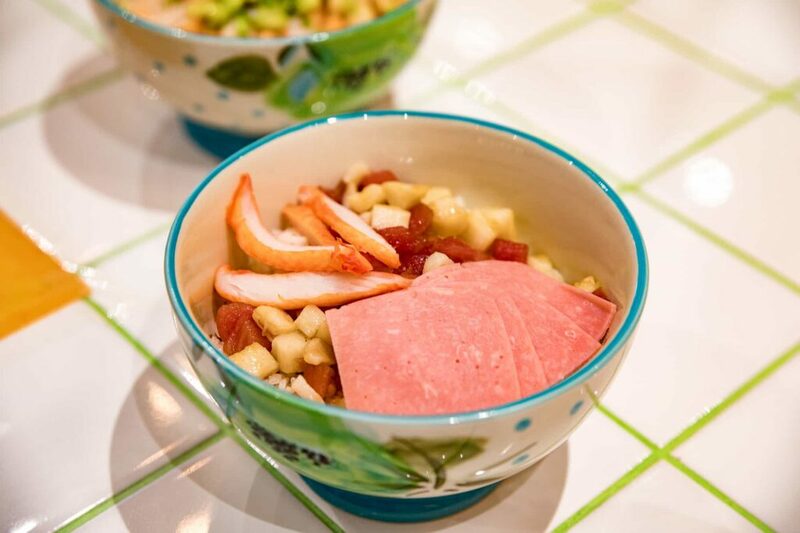 You can even make your own chirashi bowls by simply selecting the ingredients on the touchscreen kiosk. 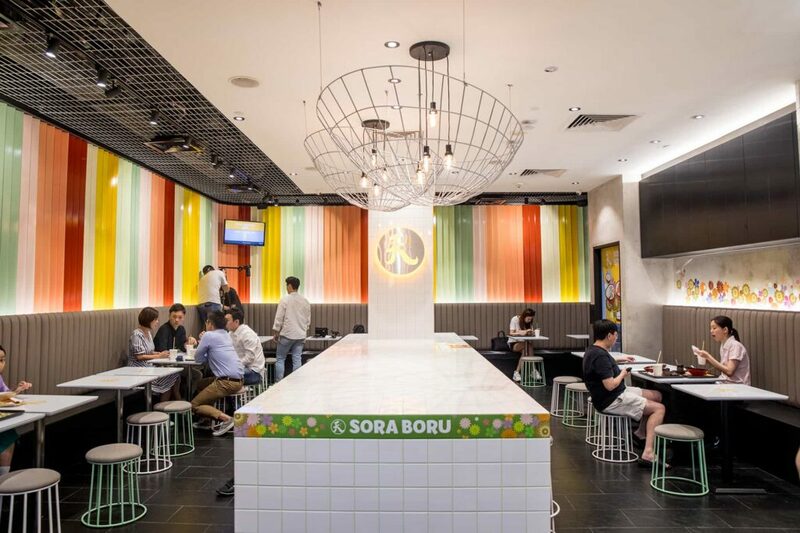 Combine that with their super affordable prices, and Sora Boru is a great place for a quick meal if you’re working in or hanging around town. Over at Sora Boru, you can have your ChirashiBoru exactly the way you like it. 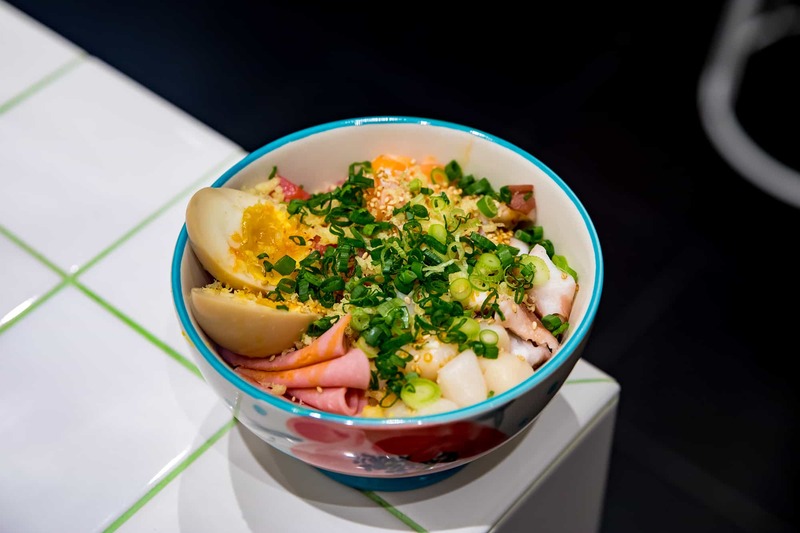 Customise your own chirashi bowl from the fish down to the add-ons and sauces. Start off by picking a rice or mixed greens base, and then your selection of raw fish. No one is going to stop you if you want 5 servings of salmon! 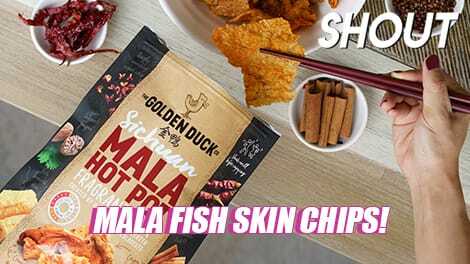 Other fish include scallop, tuna, octopus and swordfish, all in bite-sized cubes. Then select your add-ons, where you’ll be spoilt for choice with over 10 toppings to choose from. We recommend the Hanjuku Egg, a soft and molten boiled egg, Tobiko, and Edamame. 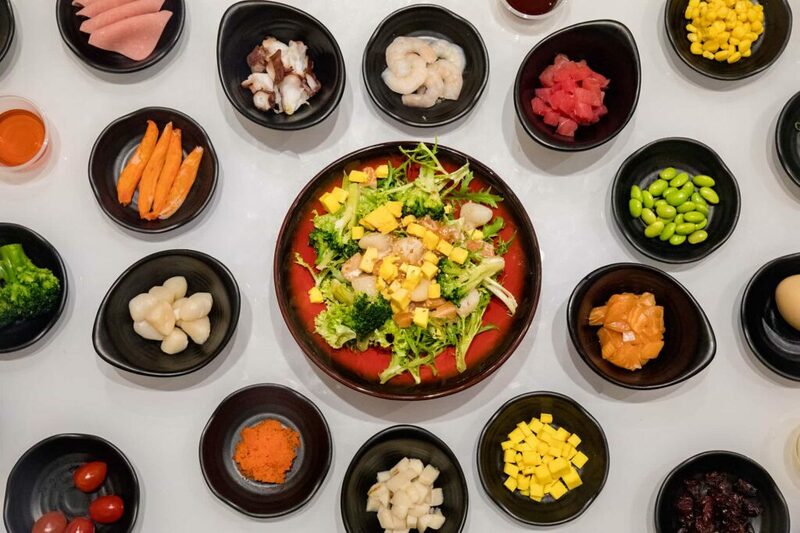 You can also get additional meats like Cooked Shrimp and Kani Crabstick for more topping variety. There are 3 dressings – the house blend Shoyu Sauce is the recommended sauce that goes well with both salad and rice, or pick the creamy Sesame Sauce which will pair well with the greens. If you’re getting a rice bowl, you also get the additional option of the Spicy Sauce, which is a blend of chilli and oil. Finally, garnish your bowl with spring onions, roasted sesame seeds and tempura crumbs. The tempura crumbs give an extra crunch when mixed in with the rice! The ChirashiBoru comes in three sizes, Mini ($6.50), Regular ($11.90), and Large ($16.90). Depending on which size you go for, you get different amounts of fish and add-ons. The mini bowls are great for really quick bites and small eaters, or if you simply want to get a few different items to share. Sora Boru has other dons, including a Bara Chirashi Ebimayo Aburi Don which also comes in a mini version. The aburi don is blow-torched for an extra-smoky taste, although you won’t be able to pick your own fish and toppings. 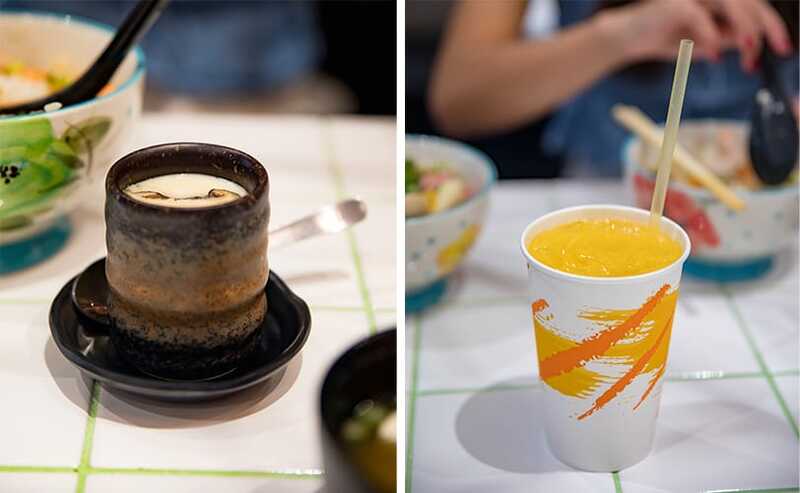 Make your meal a true-blue Japanese affair by adding a Chawanmushi, Miso Soup, and/or a Drink from $2.90. 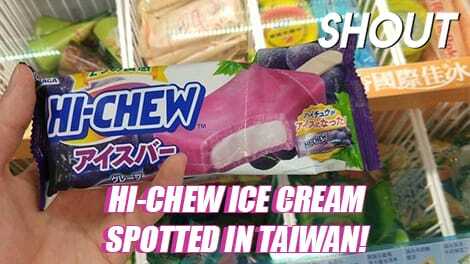 They have your standard soft drinks like Green Tea and Coke, but give their Calpis a try; the yoghurt-y drink from Japan is said to taste like Yakult. You can enjoy Calpis in its original flavour, although the Orange Calpis and Apple Calpis are more popular for their fruity sweetness. 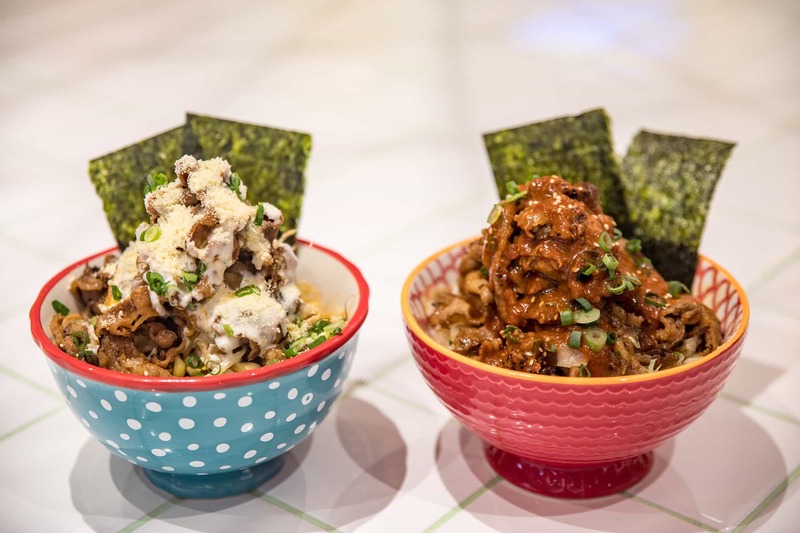 Sora Boru also has beef donburi, but instead of your regular beef bowls, they’ve created two dons with vastly contrasting flavour profiles. 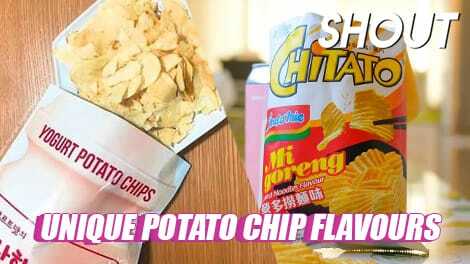 One’s for the spice lovers and the other is a cheesy paradise. The Volcano Beef Don ($7.50 for Mini, $11.90 for Regular) sounds pretty potent even before it reaches your table. 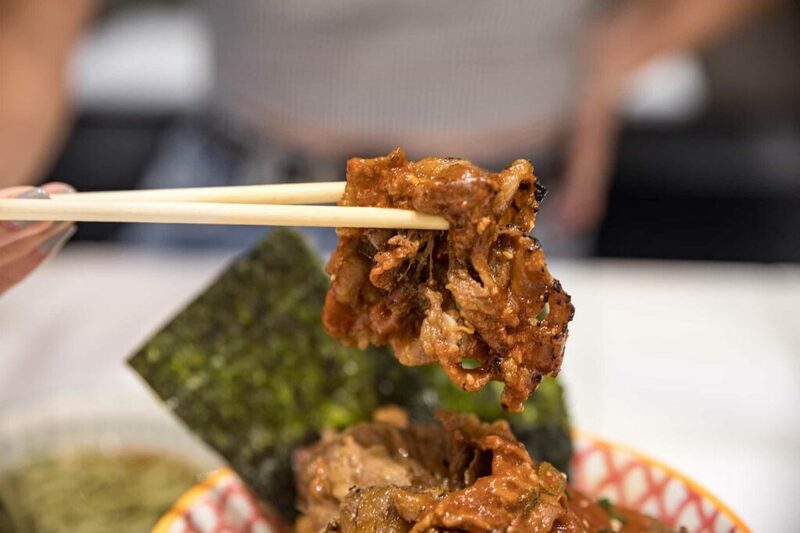 Just like the word ‘volcano’ suggests, this is a steaming bowl piled high with slices of beef drenched in red sauce, looking like a volcano just erupted. Sitting under all that meat is a mound of veg (choose from stewed cabbage or seasoned bean sprouts) and rice. On a scale of weakling to setting your tongue on fire, the Volcano Beef Don falls nicely on the ‘just spicy enough for that shiok feeling’ point. 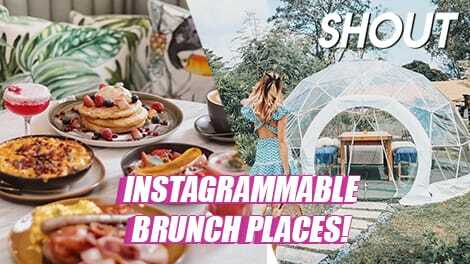 If you’re not up for the heat, go for the Snow Beef Don ($7.50 for Mini, $11.90 for Regular), which features a mountain of flame-grilled beef slices drizzled with a special sweet-savoury cream sauce and sprinklings of grated parmesan. Just like the ChirashiBoru, all DonBoru come in both Mini and Regular sizes. Other options on the menu include the Salmon Teriyaki Toji Don and Beef Yakiniku Toji Don. SOBA-LESSED FOR SMALLER PORTIONS SO YOU CAN ORDER MORE DISHES! 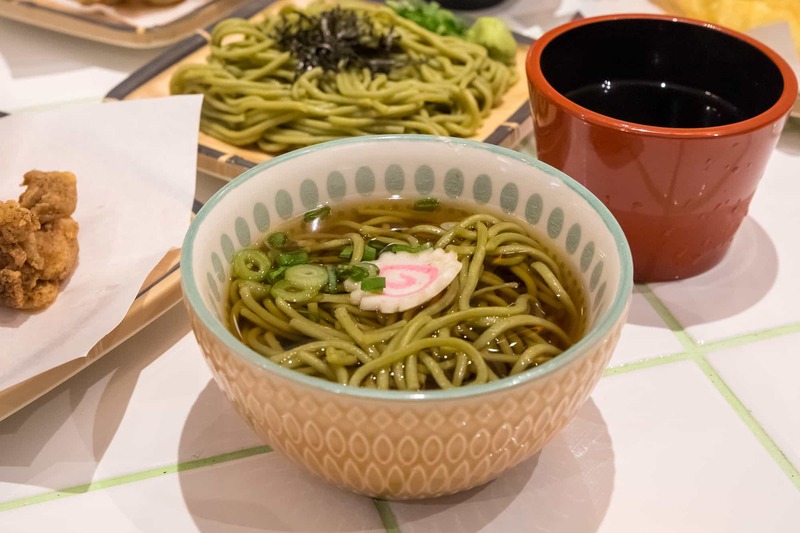 Soba noodles are delicious whether they are served chilled or hot. 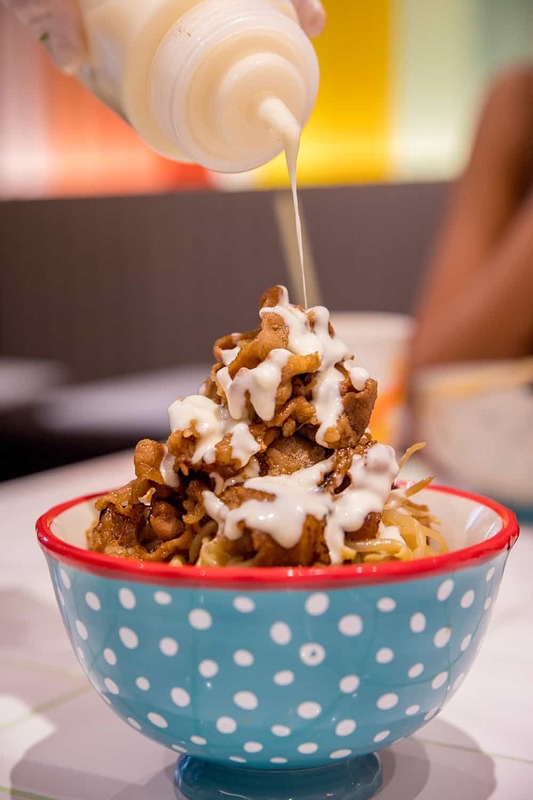 The Chilled Soba (from $3.90 for Mini, $7.50 for Regular) is a refreshing yet filling treat on a real hot day, with sides to boot. 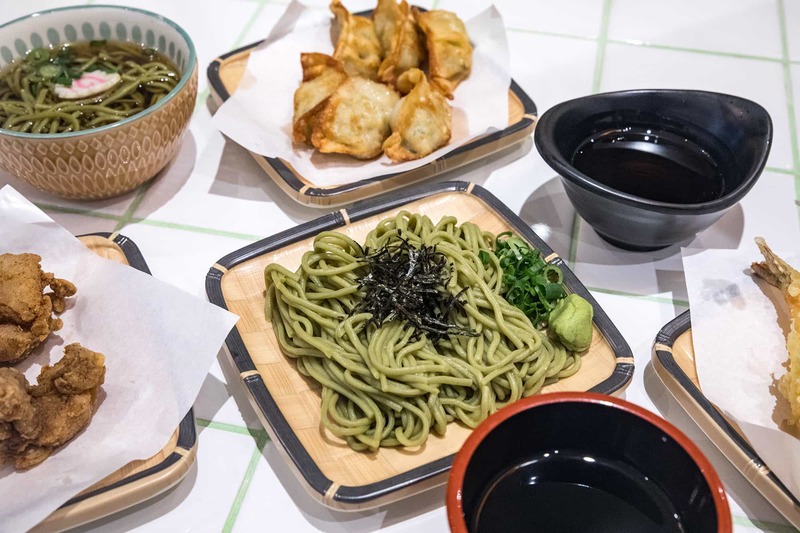 The Hot Soba (from $3.90 for Mini, $7.50 for Regular) is served swimming in a clear broth with naruto (Japanese fishcakes). You can order just a bowl of noodles, or have it with Ebi Vegetable Tempura, Chicken Karaage, Chicken Katsu or just Vegetable Tempura. 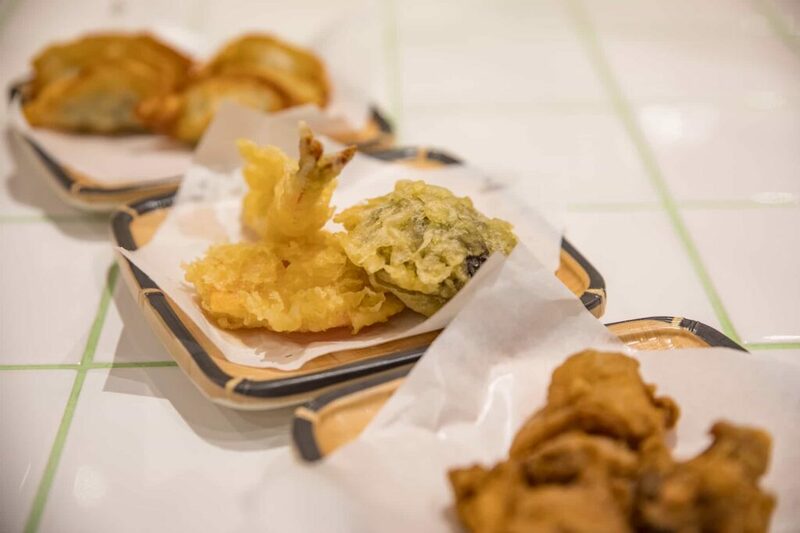 The Chicken Karaage and Tempura are also available as additional sides even if you aren’t getting the any of the noodles but still want to fill your tummy. 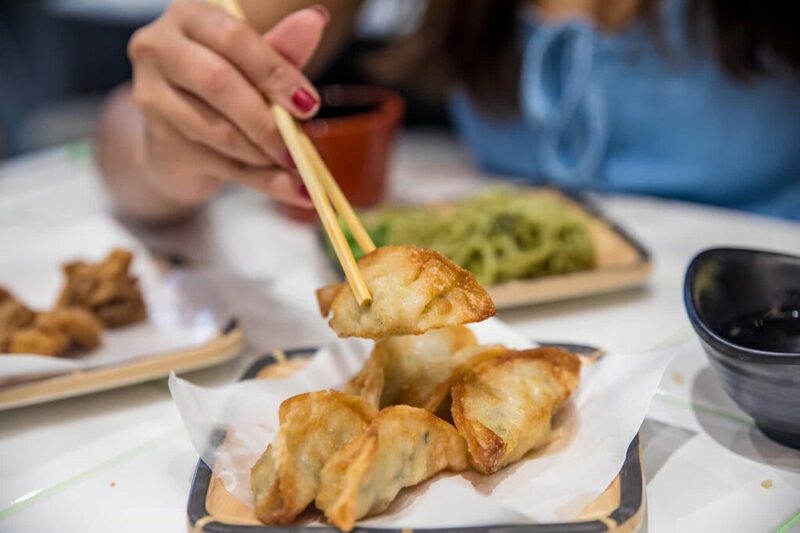 Other sides include classic Japanese dishes like Edamame ($3.90), Yasai Corn Tempura ($5.50), Chicken Gyoza ($8.50), and the really addictive Crispy Salmon Skin With Egg Mayo Dip ($8.50). The last type of bowl is none other than the CurryBoru. Sora Boru spent a good few months working on the perfect Japanese curry recipe, which promises a rich and hearty meal. For every CurryBoru, you can also choose your own spice level from 0 to 2 (0 for no spice, 1 for mild, 2 for spicy). 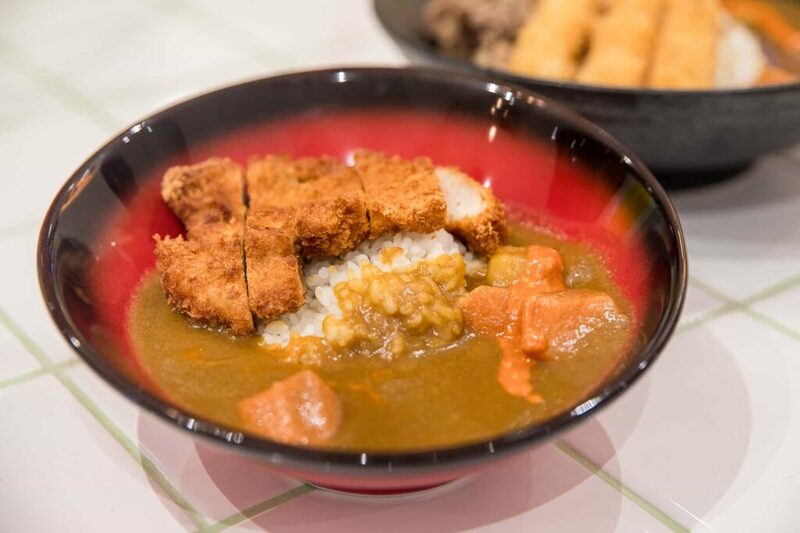 The CurryBoru comes with soft chunks of potatoes and carrots, and you can enjoy it with a variety of proteins, such as Shabu Beef, Breaded Salmon, and Chicken Katsu. Can’t decide on one? 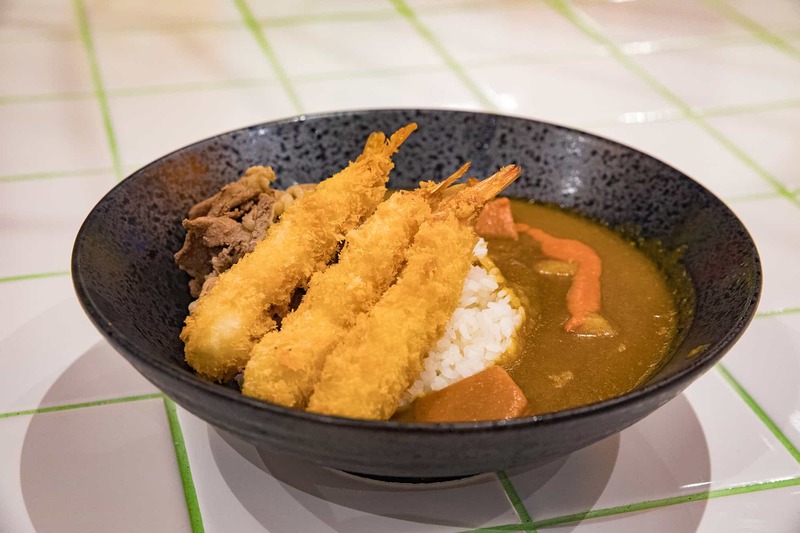 Have double the happiness with the combo CurryBorus, where you can get Breaded Ebi with Shabu Beef ($12.90), or Breaded Salmon with Shabu Beef ($11.90). The combos only come in Regular size, although all the other single-meat choices are available in both Mini and Regular sizes.